Could I rank for it on Google? It took patience, but eventually I landed on building an experience around how tech brands got their names. Now I needed a name. I hate to admit it, but instead of learning all the nuances of naming, I did exactly what you shouldn’t do. I rushed it and didn’t build a plan. The name Rewind & Capture is generic, long, hard to remember and just takes forever to type out. I was recently telling this story to Margaret Wolfson, the Founder of a naming agency called River & Wolf. We discussed common mistakes entrepreneurs make during their naming endeavor, how it is nearly impossible to secure an exact match .com and how it might be fun to write an article on how a handful of naming agencies got their own names. If the pressure is getting to you and you are struggling to come up with a name, just think about how much more pressure a naming agency has to come up with a high quality name. River + Wolf was founded in 2014 by Margaret Wolfson and is headquartered in New York. They offer six core services: name and tagline creation, marketing messages, brand storytelling and copy and script writing. Their work has been featured in the Huffpost, New York Times and Forbes, to name a few. According to their site, naming projects generally take between three to six weeks, including preliminary trademark screening. Or you can expedite by selecting their Express Naming option. If your scope is a little more narrow, they also provide global linguistic services, screen names for possible negative associations, connotations and pronunciation issues in worldwide languages. Why is it called River + Wolf? Sometimes a river twists and turns, responsive to the lay of the land. Other times, it is an unstoppable force, carving its way through solid rock. As for wolves, they’re known for their deep instinct, keen intelligence and sense of loyalty. And since no two wolves make the same sound, the wolf is considered a precise and original communicator. For these reasons and more, we believe River + Wolf is the perfect metaphor for how we work and what we stand for. What should business owners do before brainstorming a list of names? It is crucial that you identify your top communications and preferred tone before you begin developing names. If Amazon’s top communication, for example, had been speed and efficiency, Amazon may not be the best name as it points to vastness. Also get clear on your tone. Think of Google, Chrome, and Safari. All provide web browsing or search capacity, but their tones are quite distinct. Google is the most playful of the three whereas Chrome tilts towards more of a tech personality–perhaps because Chrome evokes something bright and shiny. If you are not clear about your key communications and tone, you may waste time generating off-strategy names. Zinzin is a naming and branding agency founded by Jay Jurisich, a former co-founder of Igor Naming Agency and editorial director at A Hundred Monkeys. The company is headquartered in Berkeley, California. Zinzin’s naming process begins with the process of understanding everything about your brand, where it’s been and where it’s headed, your competition and your industry. They work with clients on their brand positioning because the more specific and nuanced the positioning, the more effective the name will be. You are probably quickly realizing a common theme already: naming is a process, with many nuances that most don’t even think about before it’s too late. Why is it called Zinzin? I first encountered “zinzin” as a disruptive sound in James Joyce’s epic dream novel, Finnegans Wake; Joyce probably lifted the name from WWI French slang, where it was an onomatopoeic name for an incoming mortar shell. Zinzin is also colloquial French for bonkers, cracked, touched , loopy, potty, crazy, nuts. Just what you want in a naming firm, right? In addition to being a “crazy” word, Zinzin is also a French slang placeholder name, a name that you call something when you don’t know or specify the actual name (like “gadget” or “thingamabob” or “whatchamacallit”). In this sense, Zinzin is our very own permanent placeholder name, a universal urname. 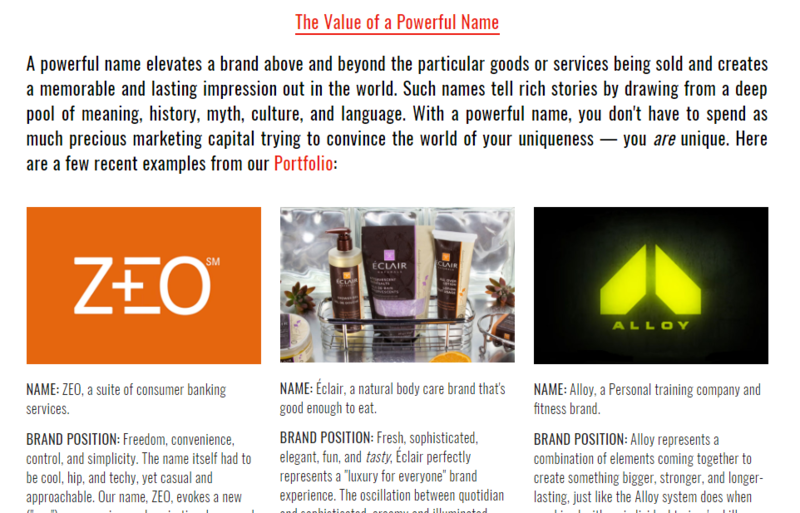 How do you validate a list of potential brand names? We do not believe in focus group testing of names under consideration. The most important criteria for judging a name is: does it map to and support the brand positioning for the company or product brand being named. If it does, it should be taken seriously; if not, it should be rejected. There are many other name criteria that should be considered — tone, personality, depth, breadth, voice, look and feel, length, for example. — but mapping to the brand positioning is key. This is why our process is structured around having a deep understanding of the brand positioning and discussing names individually, providing our clients with a strong sense of which names are working and why. For developing the most powerful names possible, you have to talk through the options like this — there are no shortcuts. Tanj is a boutique brand language firm that works with both big and small brands from all over the world. The company was founded in 2010 by Scott Milano and is also headquartered in New York City. Besides the obvious services like company naming, product naming, taglines and trademark screening, they also help brands develop compelling stories to engage and capture the hearts of their audience. “You gotta get it right, right from the start.” I like this advice on their site, it gives the project the importance it deserves, while adding a little pressure. If you don’t think a rebrand is painful, just talk to a couple entrepreneurs who have gone through the process and they’ll tell you how frustrating, time consuming and expensive it is. Why is it called Tanj? We thought you might ask. The back story is that we wanted a name that was short, exotic and unlike any other naming or branding firm out there. It also needed to speak to our core focus on language (naming, writing, etc…) but stretch with us as our business evolved. First, “Tanj” comes from “tangible.” Ideas are ethereal. We use language to make them tangible. Second, it comes from the Japanese word “tanjun,” which means “to simplify.” And finally, from “tangerine.” We like tangerines. A lot. Is an exact match .com a deal breaker? At Tanj, we prioritize developing great names first and foremost. If the exact match .com is not immediately available, we can usually find an appropriate solution for URLs once we have a shortlist of solid options for clients to consider. However, every situation is unique and dependent on a variety of factors, including the type of name that will serve the business best, the type of business, actual names under consideration, .com status of those names, a client’s appetite for URL acquisition, timing and of course trademark status. In our case, Tanj.com has been owned by someone else since 1997. We tried acquiring it in the past, but the owner simply did not want to sell it. When we launched the company in 2009, we chose tanjbranding.com as our URL because we could not get the exact match .com, and we felt that adding “branding” to the URL gave some needed context to our offering. It worked well for us. However, with the rise and acceptance of alternate top-level domains in the last few years, and the fact that we already had an established presence in naming and branding for quite some time, we chose to simplify and shorten our URL to tanj.co when we underwent a major rebrand in 2016. We haven’t looked back since. 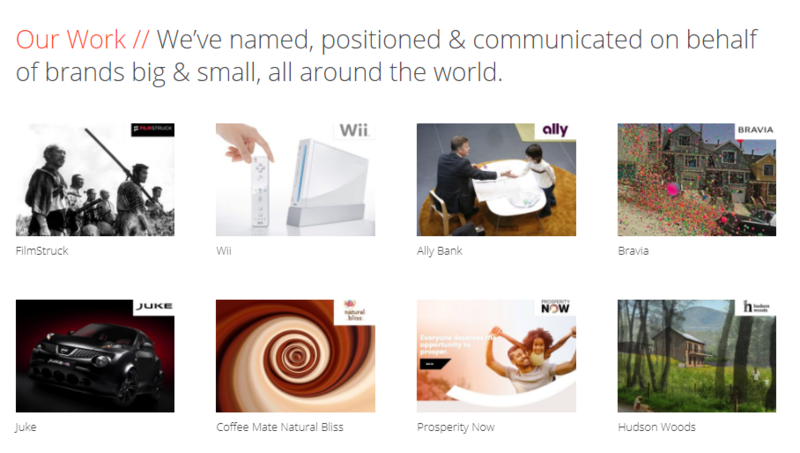 Catchword is an award-winning naming agency that has worked across several different industries in both the B2B and B2C space. 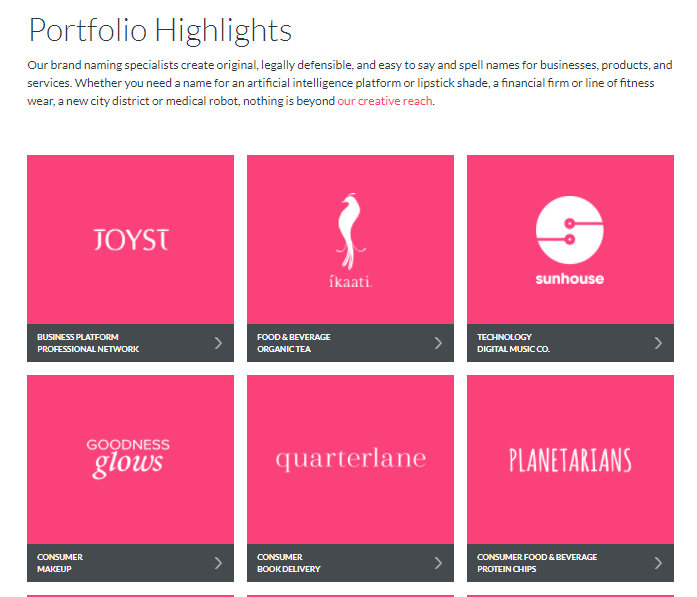 Their portfolio is beyond impressive, working with clients like Starbucks, Unilever, Fitbit, Nike and Walgreens to name a few. The company was founded in 1998 and is currently run by Maria Cypher and Mark Skoultchi, with offices in Oakland, California and Tenafly, New Jersey. They offer a wide variety of services including name development, trademark screening, name validation, taglines, domain name brokering and several more. Why is it called Catchword? As creative director, I led the naming effort, but everyone had ideas and feedback. We explored every imaginable word, coining, and metaphor, resulting in a master list of hundreds of names. A few candidates that we briefly considered included Fluent, Lingo, In A Word, and Namesake (which we could not stop referring to as “na-ma-sa-ki”! And of course it violated the no-Name rule). In the end, we kept coming back to Catchword, which is a memorable or effective word that is often repeated, as well as a guideword in a dictionary. We loved the relevance of both meanings, along with the playful tone and the suggestion of catching a word or name. We’ve never looked back. How many potential names should a company come up with? When it comes to naming, our philosophy at Catchword is “more is more.” For a new company name, try to explore as many directions and constructions as possible, to create hundreds (if not thousands) of name candidates. That way, you will significantly increase the chances that you’ll have a great name (or three) standing after trademark and domain screening and human subjectivity get in the way. A Hundred Monkeys was founded by Danny Altman in 1990 to create names that reflect the personality, culture, and goals of our clients. Before starting A Hundred Monkeys, Danny was a founding partner of Altman & Manley, one of the first hybrid design/ad agencies in the country. The company is now run by Danny’s son, Eli Altman, who tackled his first naming project at just sixteen and more recently published a book called Don’t Call it That. A Hundred Monkeys offers a wide variety of naming services including but not limited to naming, branding, name assessment, writing, naming architect and more. The company is headquartered in Berkeley, California. Naming is Easy from A Hundred Monkeys on Vimeo. Why is it called A Hundred Monkeys? As a naming company we believe it’s particularly important that our name showcase what a name can do. A Hundred Monkeys means different things to different people. We love it when people ask about the story behind the name because it tells us that our name is doing its job. Is it about the Hundredth Monkey theory? Is it about Shakespearean sonnets? Is it about that Bruce Willis movie 12 Monkeys but with a lot more primates? It doesn’t really matter. The important thing is that our name gets our potential clients to interact with us. From there, we’re happy to tell the story of where the name comes from and what it means to us. We have people knock on our office door all the time just to see what happens behind a door that says A Hundred Monkeys on it. In this way we use our name as an illustrative example of what a name can do for you for you. It’s a didactic way of showing how names can be inviting and start conversations. 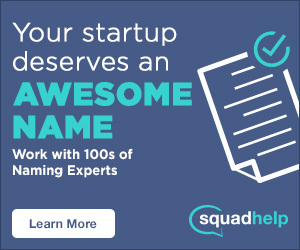 What is the most common naming mistake entrepreneurs make? Naming descriptively. A lot of entrepreneurs are afraid that customers who don’t immediately understand what they do will turn away and go elsewhere. In reality, we all see so many brands and new brands every day that descriptive names rarely leave an impression. The role of the name is to grab someone’s attention and give the entrepreneur an opportunity to pitch and share their value. Descriptive names also serve to hem you in. Most entrepreneurs pivot. Descriptive names no longer make sense once you pivot. There you have it, five naming agencies, all with unique and clever stories behind their names. Do you have a favorite? We’d love to hear about it in the comments.